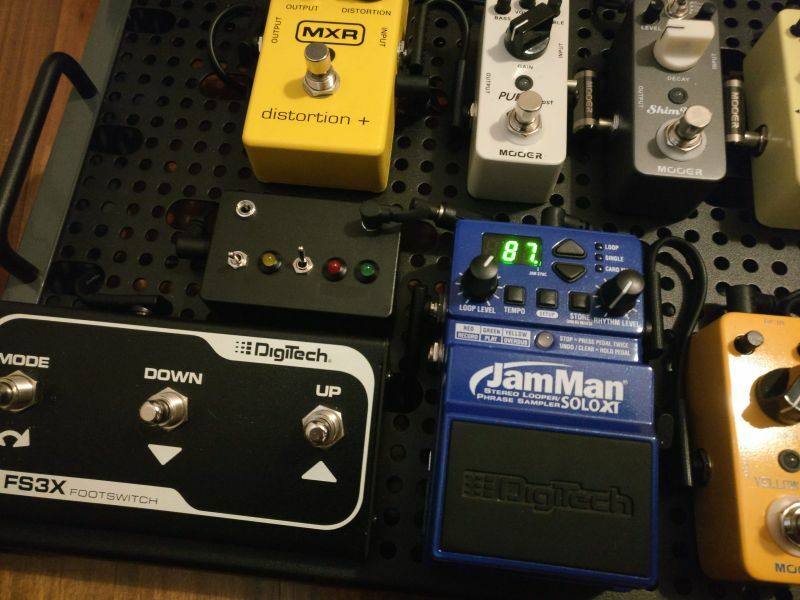 My JamMan Solo XT pedal have an input jack that is used to sync the tempo of multiple units used together. 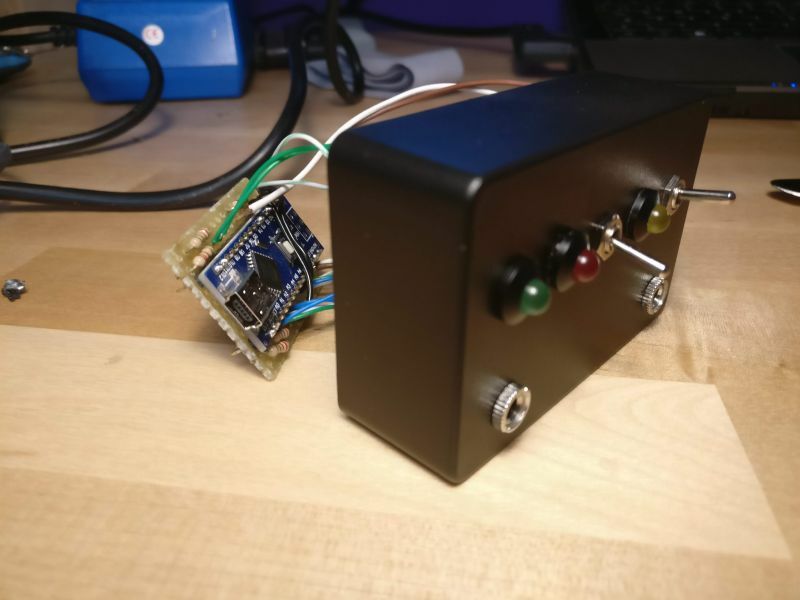 Searching on the web, I found that people have reverse-engineered the signal protocol, so I made an Arduino project for syncing mine to a clock/pulse input, for using it with modular synths and general analog gear. It should also work with any of the other compatible models (Express XT, Vocal XT, SDRUM). - Syncs JamMan looper pedals to Eurorack-like clock signals. - Main LED lights up when clock input is present. - Two additional LEDs blinks following tempo (quarters and measures). - The main LED blinks fast when incoming tempo is incompatible with JamMan (too fast or too slow). - Optional switch for selecting pulses-per-quarter (disabled by default). - Optional BPM display using a LTC-2727G (disabled by default). Parameters and pins configuration can be changed using the constants at the beginning of the code. Each one is commented. The rest of the circuit is basic, just the usual resistors on LEDs pins and an on/off switch directly connected to the Arduino power source. If the optional pulses-per-quarter switch is enabled, it must be connected to an analog pin in a way that it feeds 0V or 5V depending on the switch position. If the BPM display is enabled, check the LTC-2727G datasheet or adapt the code to a 3+ digits 7-segments display of choice. I built it to fit on my pedalboard, but it could be easily made in Eurorack format, I guess. Cool! I always wondered about this! I sold my old jamman but often thought it would be cool if it could be clocked by something else. One question: can saved loops be recalled and externally clocked or can u only clock a loop u are currently recording? One question: can saved loops be recalled and externally clocked or can u only clock a loop u are currently recording? Yes, they will be clocked "somehow"... Depending on the length of the loop, the result may be different. The pedal cuts the loop and restart it when the measure beat "hits", to keep the given tempo; but I'm not 100% sure how the pedal "decide" when exactly cut. Anyway, that's for sure that it does not alter the loop speed to fit the desired tempo. The same applies in case you record a synced loop from your synth, and then, while the pedal is playing it back, you slightly change the tempo of the input clock signal. Also, this behavior is inherent the the pedal and JamSync technology itself, it does not depend on my code. It'll be the same if you clock the pedal with another unit, as intended by Digitech. Long story short, if the saved loop is really similar in length to given tempo, the result is fine and barely noticeable, and it will not drift.